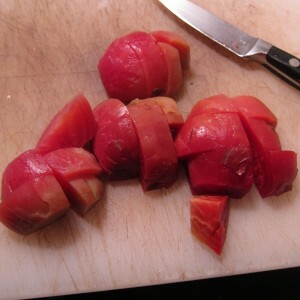 Beets are another vegetable that hang around for the length of CSA season. 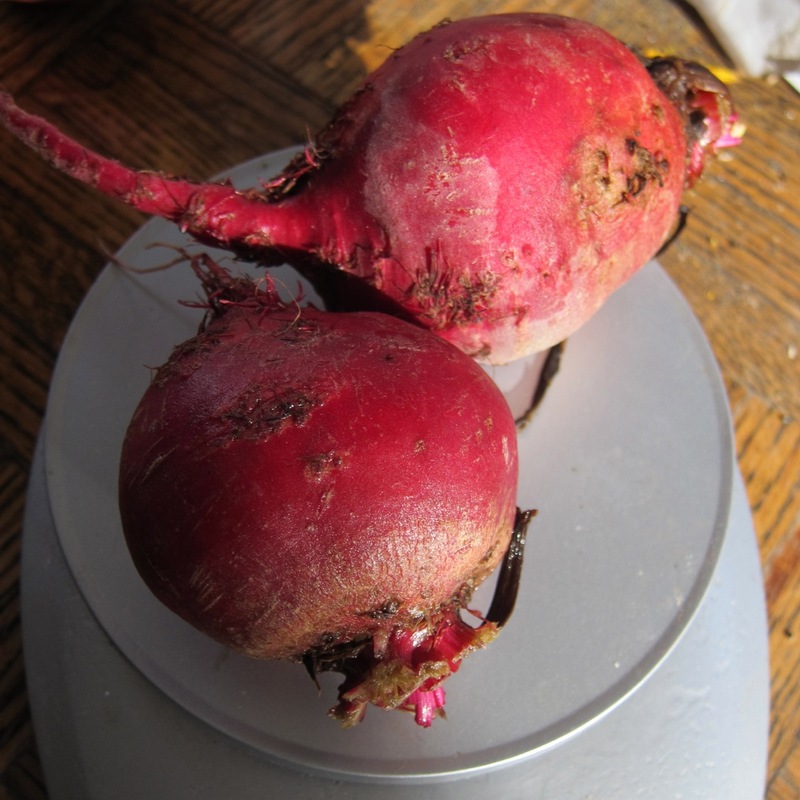 You may use your beets in salads or soups. You may pickle your beets, shred your beets, roast your beets. But I’d wager that you probably haven’t yet used your beets in chocolate cake. It’s time for that to change. For seeing the potential in this unlikely combination, we have Nigel Slater to thank. 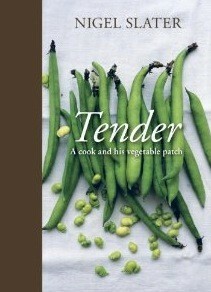 Slater is a British cook and food writer, and he is one of my favorite discoveries of the past few years. 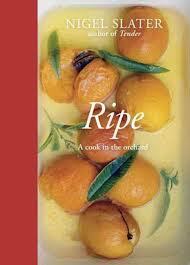 He’s written eight cookbooks over the years as well as a weekly column in the Observer magazine. He is, perhaps, a particular genius with fruits and vegetables, though he is most decidedly not a vegetarian. 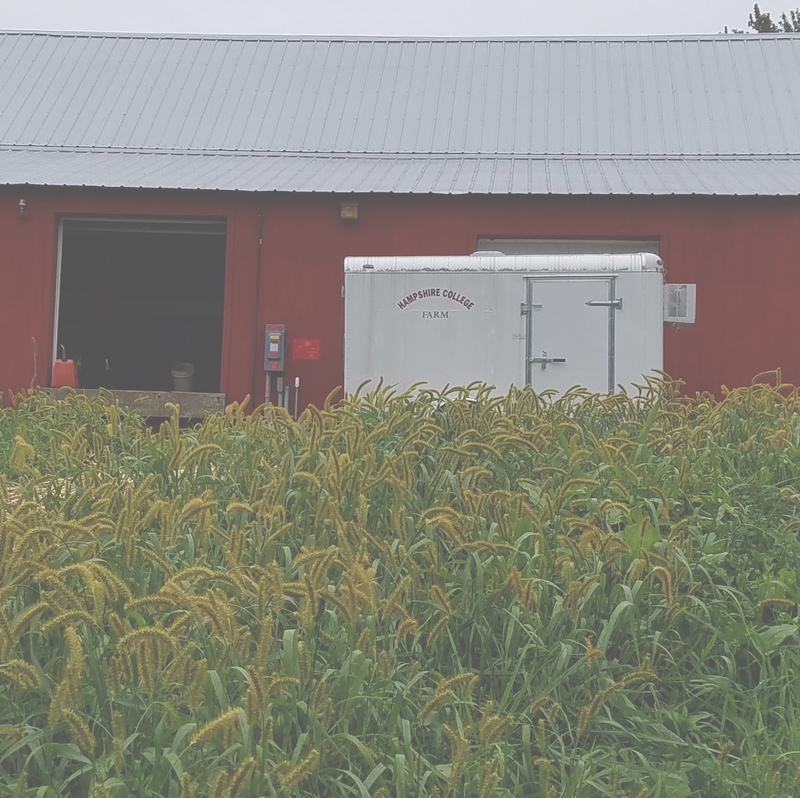 Two of his most recent books published in the US are Tender and Ripe. (In the UK, they were published as Tender, Volumes I and II.) 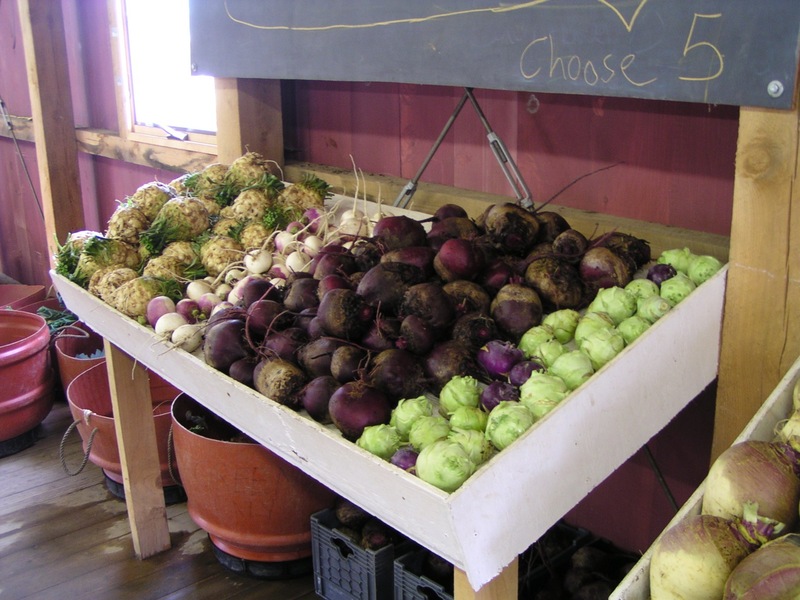 Tender, subtitled, “A Cook and his Vegetable Patch,” is, understandably, about vegetables, and Ripe about fruit. They are truly lovely books. In the interests of full disclosure, I have to admit that this is not one of those one bowl cakes, where you toss everything together, give it a few stirs and then pour it into the pan. It’s quite possible, in fact, that you will need to use every bowl in your kitchen to make this cake. I had the flour bowl, the egg white bowl, the chocolate bowl, the egg yolk bowl and the bigger chocolate bowl I had to transfer everything into once I realized the bowl I’d melted the chocolate in was too small. The only reason I didn’t have a beet bowl was that the beets went right from the pot to the cutting board to the chopper and then into the cake. 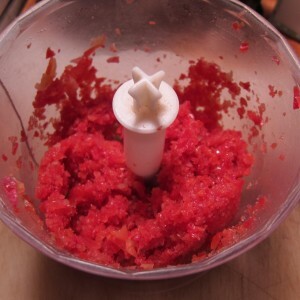 But it’s not a hard cake to make, despite the various steps. I’d boiled my beets earlier in the day, so they were cool and ready to peel and chop when I was ready to make the cake. 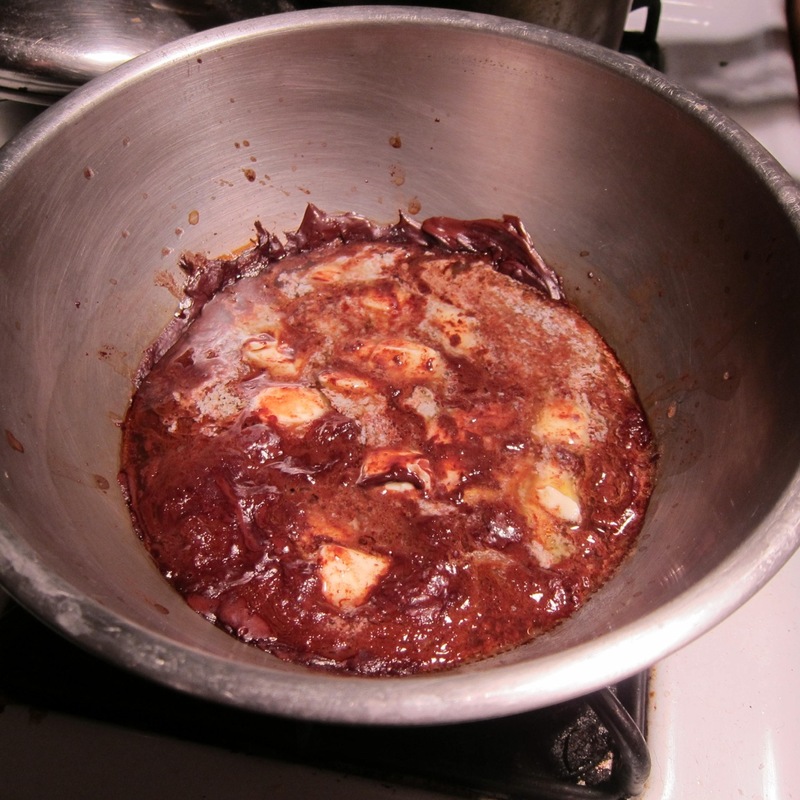 The melted chocolate mixed with the coffee and the butter looked a little alarming at first, but once stirred together, became smooth and glossy. But once it’s baked, what you end up with is moist all the way through, tasting of serious chocolate, and bound to impress your chocolate-loving friends, even if they don’t guess the secret ingredient. The one place where I disobeyed Slater’s orders was in the serving of it. The cake, after all, is called “An extremely moist chocolate-beet cake with creme fraiche and poppy seeds,” and Slater makes a point of saying that the creme fraiche “is not just a nod to the sour cream so close to beets’ Eastern European heart, it is an important part of the cake.” The problem was that I had no creme fraiche, and I wasn’t convinced the poppy seeds in my freezer were still good. I decided to taste the cake just to see if it felt lacking without its creme fraiche topping . . . and it tasted like a delicious chocolate cake, if one without icing. 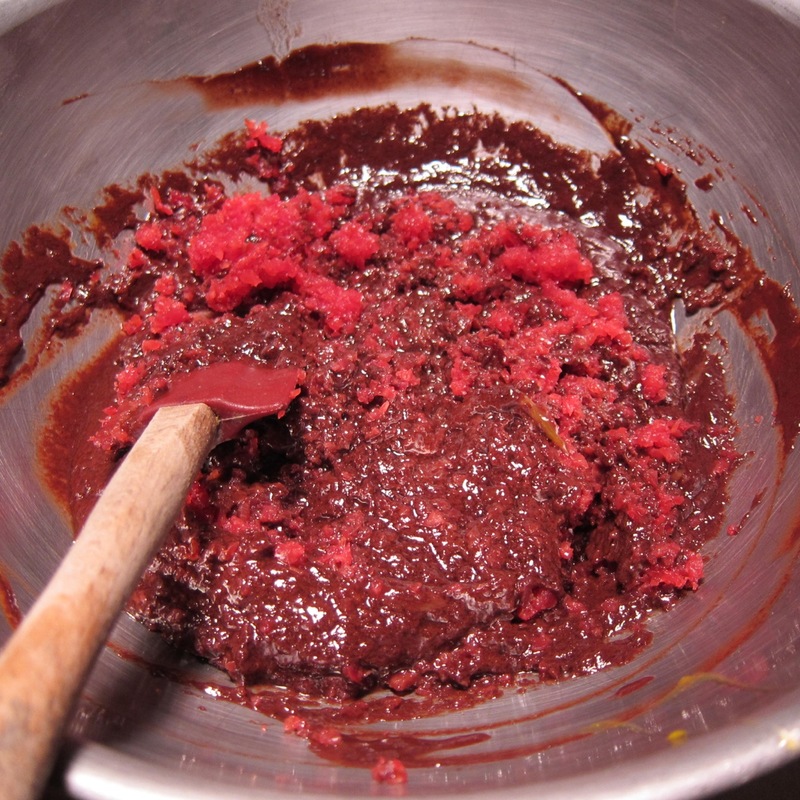 Know that Slater would like you to eat creme fraiche with your chocolate-beet cake. Know also that other suggestions include lightly sweetened whipped cream, vanilla ice cream, and mascarpone frosting. 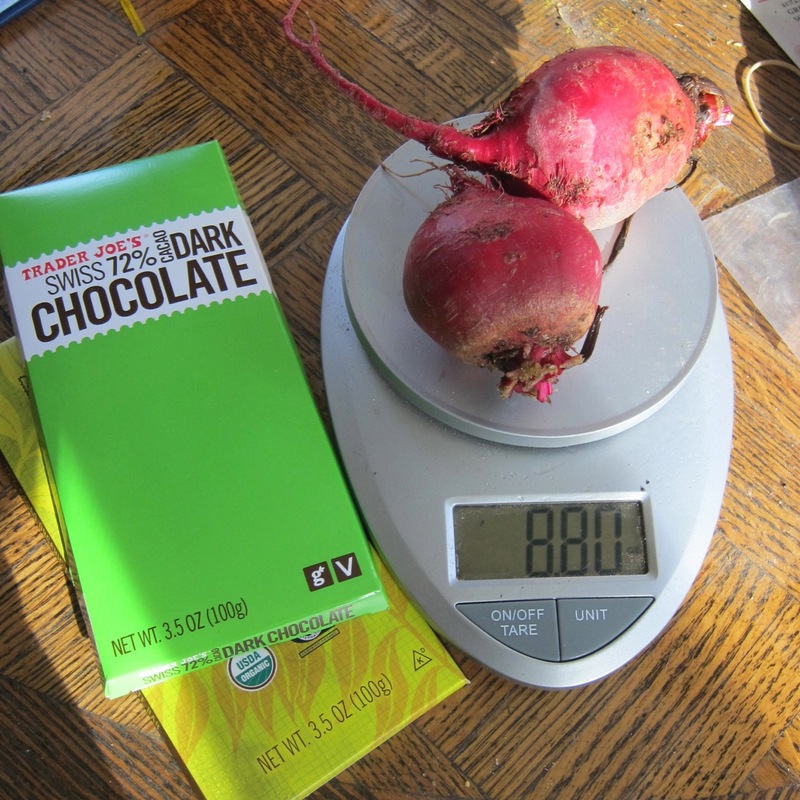 Know that despite the dirty bowls in your kitchen sink, you will be glad to have a new chocolate cake in your repertoire, and know that you will be glad to have this most inventive and delicious way to use some of your CSA beets. 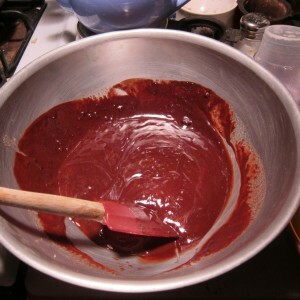 Melt the chocolate, broken into small pieces, in a small bowl set over a pot of simmering water. Don’t stir. When the chocolate looks almost melted, pour the hot espresso over it and stir once. Cut the butter into small pieces — the smaller the better — and add to the melted chocolate. 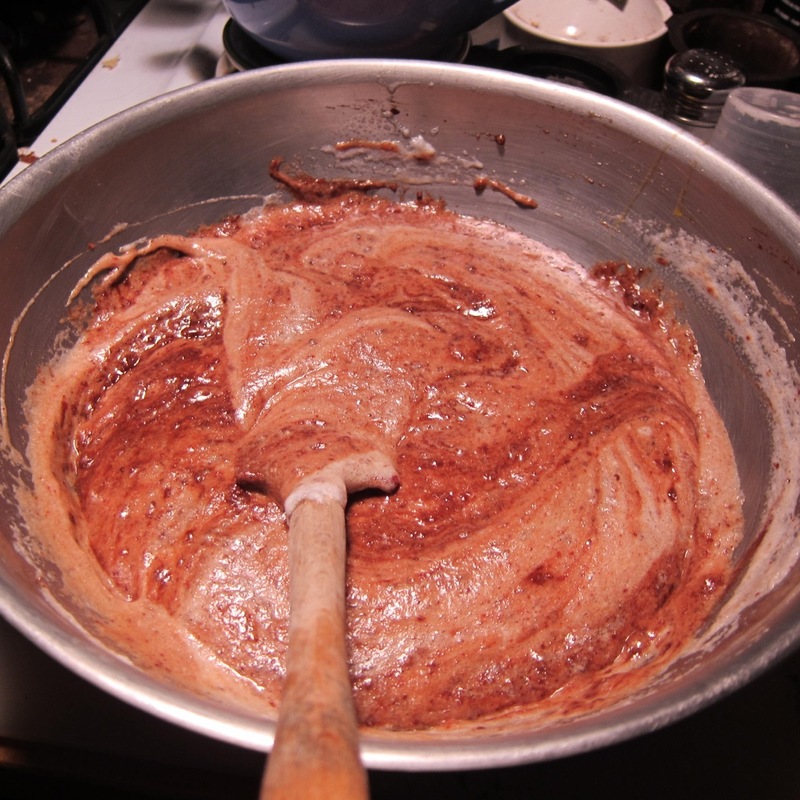 Push the butter down under the surface of the chocolate with a spoon (as best you can) and leave to soften. Separate the eggs, putting the whites in a large mixing bowl. 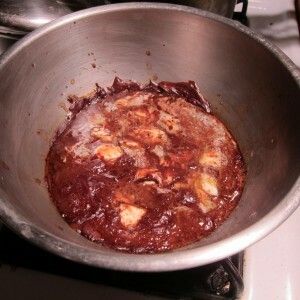 Stir the yolks together. Transfer quickly to the prepared cake pan and put in the oven, decreasing the heat immediately to 325 degrees F. Bake for 40 minutes. The rim of the cake will feel spongy, the inner part should still wobble a little when gently shaken. Test with a cake tester or toothpick too — if it is still gooey in the center, continue baking just until moist crumbs cling to the tester. I was the lucky recipient of a slice of this cake last week, and I have been singing its praises ever since. 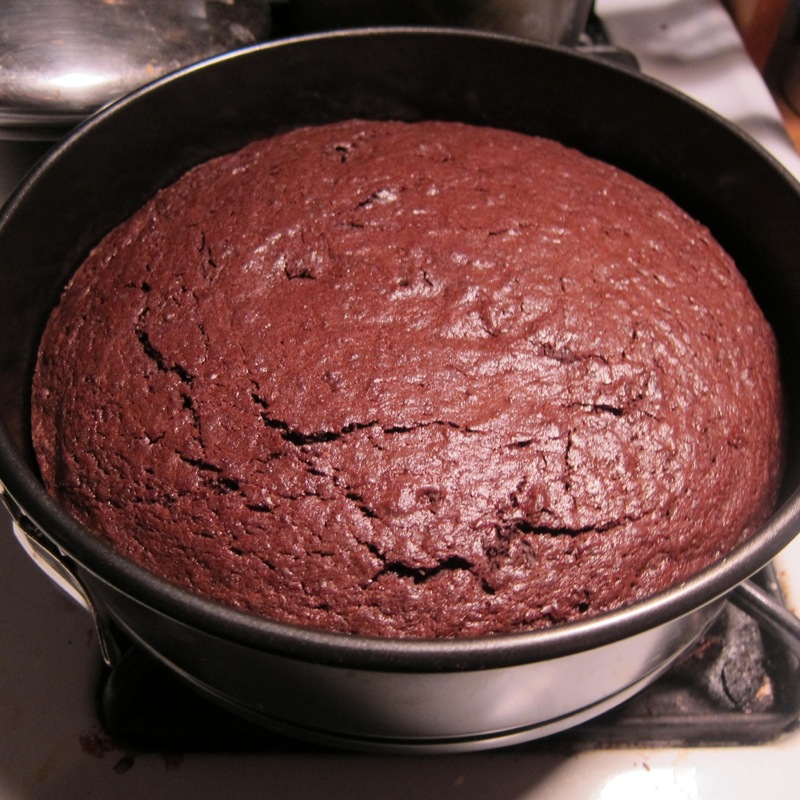 If you have enough bowls, make this cake–it is the best chocolate cake I have ever eaten. Thanks, Sue!